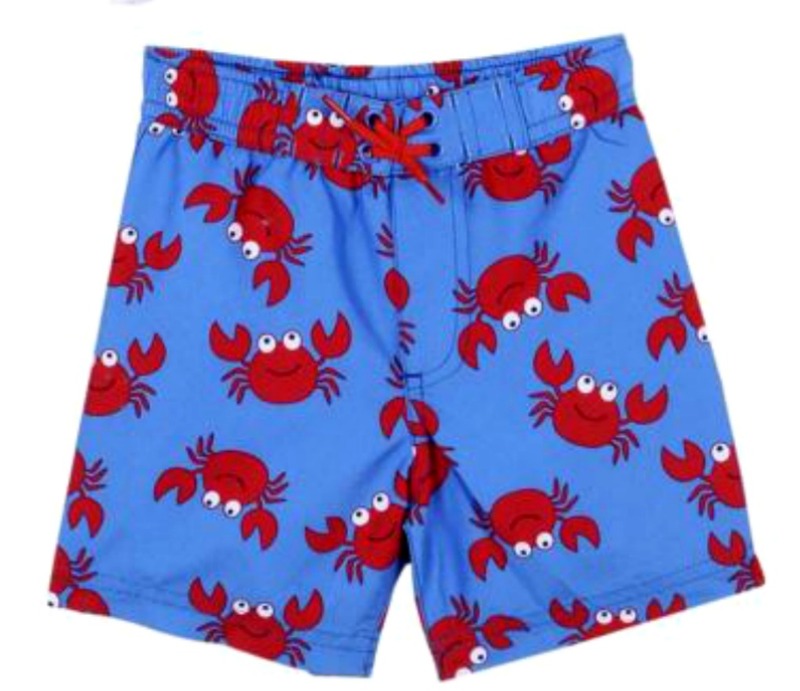 Infant boys cotton swim trunks by Little Me. Gentle elastic waist. Machine washable.